Almost a year ago, in November 2013, my first blog for John Cali’s Great Western Publishing, entitled Thirteen Mountaintops, appeared. I am greatly appreciative to John for the opportunity to circulate my work among his followers. I have to admit that the issuing of these blogs and formerly those for Planet Lightworker, as well as the appearance of my own newsletters, of which not long ago the 100th (most of them also in English) has been released, always seem to be giant steps for me. You show one’s hand, give away your heart and soul to the world, and you just have to wait and see whether everything will become any success. In recent years one can be aware that a shift from email to social media is taking place, so it is currently challenging to determine the exact impact of this kind of work. From the reactions on the Great Western blogs and elsewhere, I may deduce, though, from different angles, I’m extremely satisfied with this way of communicating with all who are open to it. First, on this occasion of his 100th issue of Running Fox Newsletter, I would like to congratulate our dear friend Hans. May you have many more memorable mileposts in your wonderful work, Hans! When Hans started his newsletter, years ago, I was one of his early readers. It’s been an exciting journey, and I look forward to many more newsletters in the years ahead. I consider Hans and his wife, Annie, close friends. Although we’ve never met face-to-face in this lifetime, the bond is strong between us. There’s a sense of family. I grew up in a large, loving Italian immigrant family. Family was important to us—they were our shelter from the storms of life, our refuge in times of trouble and sadness. Of course, as we all know, in today’s world that concept of family now extends to our entire global community. Or at least it’s getting there. Yes, there is much turmoil and trouble in our modern world. You don’t have to look farther than the mainstream media to see that. But what the media do not show us is all the acts of kindness, compassion, love—all the truly good, caring people out there. In our digital-media-obsessed society, only “bad” news is considered a money-maker. But there is far more good news than bad news. For me, a big part of that good news is all the wonderful, caring, loving people I know all over the world. People to whom I am not biologically related. But I count them as my family, for we are related on the soul level. These folks have become my spirit family. I am closer to many of them than I am to some of my biological family. Hans and Annie are part of my spirit family. I am deeply grateful to them for the love they’ve shown me over many years, and for always being there. Thank you, Hans and Annie! You are my family. God bless you both! Thank you, John. To say I am grateful for these words is the euphemism of the month. Last month’s Running Fox newsletter, #99, discussed no less than 99 aspects of spirituality. Sometime in the future I intend to share this one with the Great Western readers as well. As always, Running Fox wishes you a very good month. 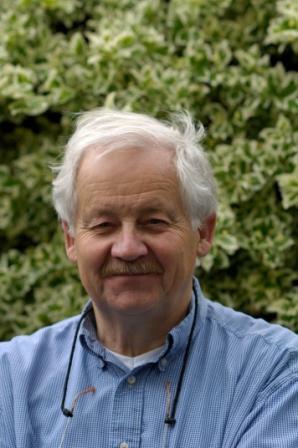 Hans Brockhuis is a Dutch Lightworker, writer and translator. His bilingual website, Running Fox Pages, features spiritual work of himself and others. Working as a translator and editor, he has been active in processing various publications, either in English, Dutch or German. See his portfolio here. If you are interested to follow what Running Fox is offering, you may subscribe to his newsflashes. Simply send an email to this address with “subscribe Running Fox” in the subject line. Thanks Hans..may your work go from strength to strength. I hope and assume that there will be a link (Amazon?) when we can buy the English translation of your work.